True to form we scratched it out to the bitter end. One at a time, which is far better than none, we began the day just after daylight and continued the program through dark. Never moving with fish around us the entire time anglers were treated to the ultimate opportunity to put their skills to the test. 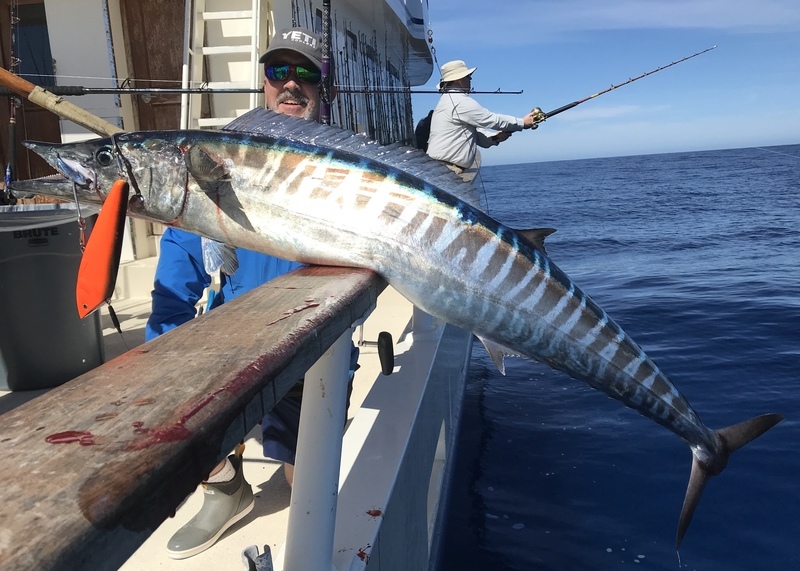 Between picky fish requiring lighter tackle to entice and a notably larger size average today the odds were not quite as favorable. 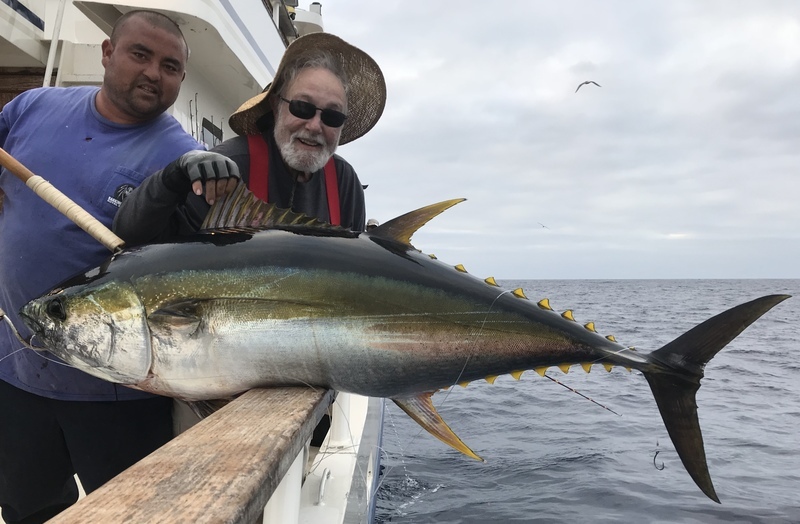 “One that got away” stories were far more common as the majority 80 - 120 pound class spirited yellowfin asserted their advantage making mincemeat of even the best prepared gear. While a little frustrating from the perspective up top the mixed results today were not beyond the norm. The fish were just bigger and tougher. In these cases one has to just tip their hat to the bastards when they win, tie on another hook, and soak another bait. That’s fishin’. 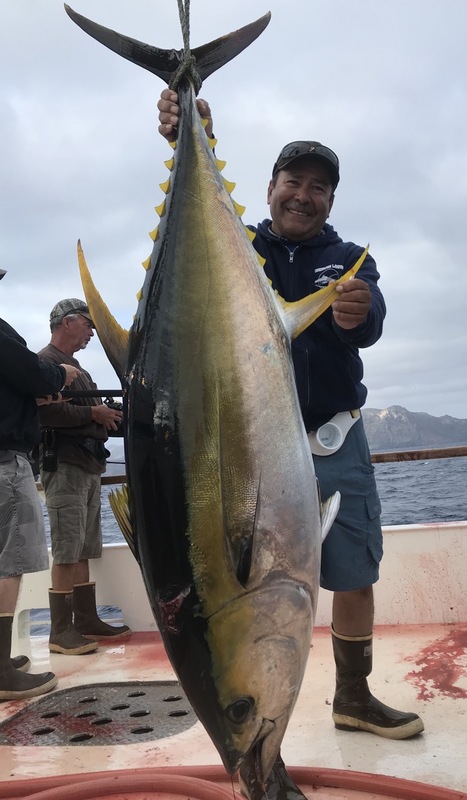 Photo today features long time Royal Star angler and friend Jose Arellano and one of the several dandies he landed over the past two days.